The cuttings I took of Erigeron glaucus (beach aster) back in April have all developed good strong root systems. Today they’re getting planted out. I took cuttings from the tips of the stems and also from mid sections. Both types have done well, the stem tip cuttings are more developed, but they were larger to start with. 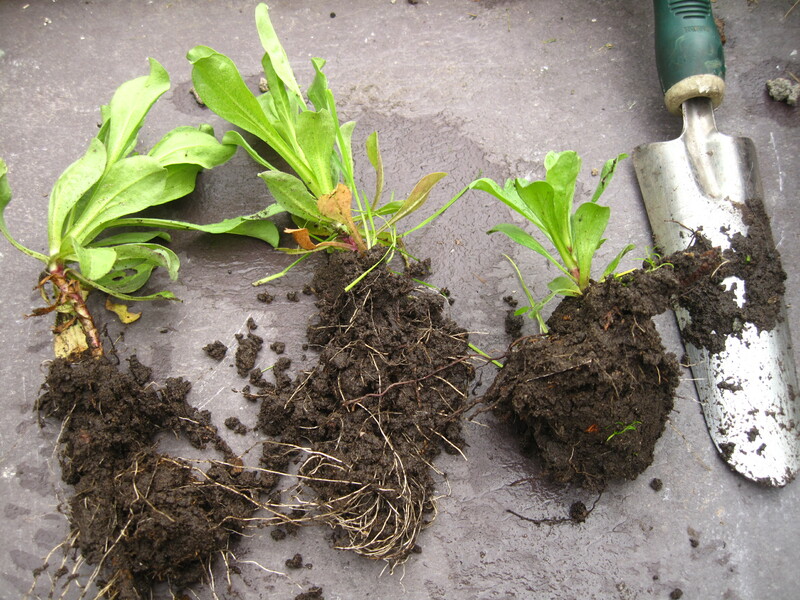 Some of the rooted cuttings – the tip cuttings are on the left. For the stem tip cuttings, I took about 4-inch sections of stem complete with their top-knot of leaves. These were prunings from an overgrown clump of plants, so they didn’t have leaves down the stem. I stripped the largest outer leaves of the top-knot off. Scraped a bit of rind off the bottom of the stem with my thumb nail. Dipped the stem in rooting hormone and popped them into a trough full of garden soil. I kept them in a shady part of my garden and kept them constantly moist. And then waited for just two months. 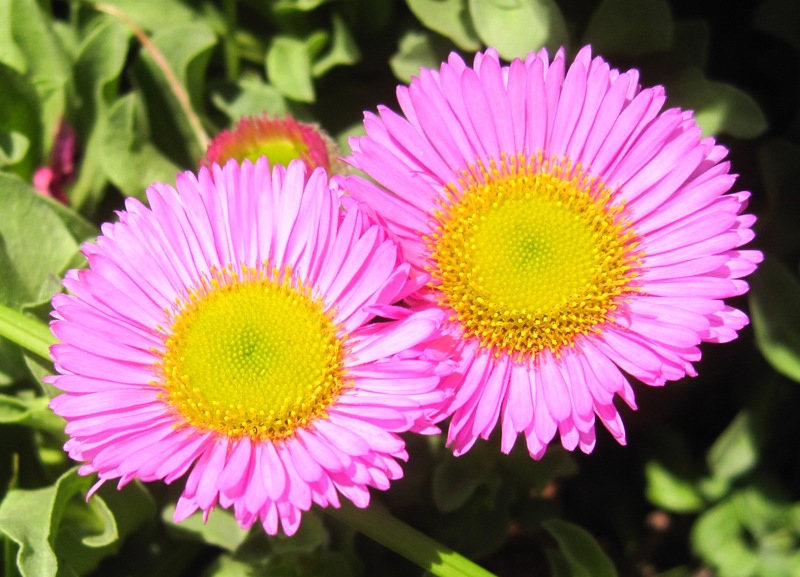 I’d say Erigeron glaucus is a super-easy plant to propagate from cuttings and its a great way to increase your stock or grow replacements for old plants.